Bob Marley & The Wailers – Live Re-issued on 3-180 gram vinyl LP and including the tour book. The Doors – London Fog 1966 (10″ vinyl & CD) Before The Doors took the music scene by storm in 1967, they were the house band at the London Fog, a Sunset Strip dive bar located just footsteps away from the world famous Whisky a Go Go, the future home of many of the band’s most legendary performances. The Doors open a virtual time capsule with LONDON FOG 1966, a Collector’s Edition boxed set that features unearthed audio recorded at the club in May 1966. Previously unreleased and not even known to exist until recently, this marks the earliest recordings of the band and finds the quartet mixing blues covers with early versions of Doors originals. LONDON FOG 1966 is the first of many special activities and releases coming to celebrate The Doors’ 50th Anniversary in 2017. Flatbush Zombies – 3001 A Laced Odyssey First Time on LP. 140g Pink Vinyl. 2-LPs. 4 Panel Gatefold Jacket. Full Color Printed inner Sleeves. Includes Digital Download Card. 2016 marks the long-awaited debut album from New York’s Flatbush Zombies. Following in the footsteps of acclaimed mixtape predecessors D.R.U.G.S. (2012) and Better Off Dead (2013), 3001: A Laced Odyssey is a career-defining album for the Brooklyn trio. Produced entirely by Erick “Arc” Elliott, the twelve-song opus features emcees Elliott, Meechy Darko, and Zombie Juice in prime form. The moody and introspective record – with flourishes of their trademark dark humor – is what their legions of diehard fans have come to expect. Non-album promo track “Glorious Thugs” set the tone for the project, garnering over 1.7 million streams in less than one week. To best capture these larger than life personalities, the group enlisted the services of David Nakayama (Marvel Adventures, Deadpool, Avengers AI, Big Hero 6) to create their epic comic book LP cover. 3001: A Laced Odyssey will be supported by a 45 city U.S. headline tour in the spring, and followed by an international headline tour in the Fall. The Kinks – The Mono Collection The Kinks – 10 LPs from 1964 – 1969 all on 180g heavyweight vinyl. The Mono Collection packages the first 8 albums in glorious mono, including Live At Kelvin Hall. 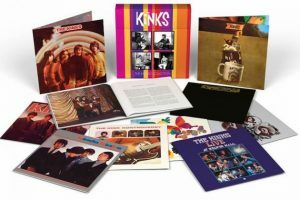 The set also includes the bonus double LP compilation, The Kinks (aka The Black Album) PLUS a lavish hardcover 48-page book including never-before-seen photos and new interviews with Ray Davies, Dave Davies and Mick Avory. Taj Mahal – Labor Of Love Previously unreleased late 1990s recordings! 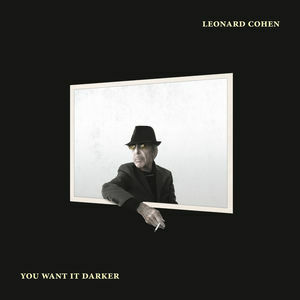 200-gram vinyl pressed at Quality Record Pressings! Taj Mahal, loose and casual in informal recording sessions with peers Performances with singular artists: John Dee Holeman, Cool John Ferguson, Cootie Stark and Algia Mae Hinton The blues live on because the blues give people life, not the other way around. Talk about the blues with Grammy winning singer-songwriter and composer Taj Mahal, or Tim Duffy, founder of the Music Maker Relief Foundation, and you’ll quickly understand how deeply they grasp this. 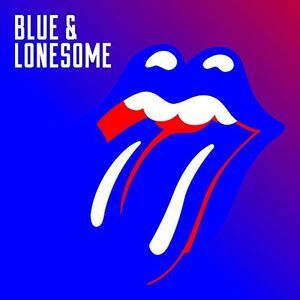 So it’s no surprise that their shared love of blues has created a special vinyl-only album release that’s got the loose, easy feel of a porch-sitting guitar strum, sipping sweet tea on a warm summer day. Labor of Love comprises recordings made by Duffy, hanging out with Taj and other artists in a Houston hotel room and during visits to the Music Maker Relief Foundation headquarters in Hillsborough, North Carolina. Taj and Tim first connected in the mid-1990s as Tim was establishing the foundation. The foundation is dedicated to preserving Southern roots music by directly supporting senior artists in need, while documenting their music and sharing their stage and recording talents with the world. A CD collection released by the foundation featuring Music Maker artists caught Taj’s attention. Tim invited Taj to his place in rural Pinnacle, N.C., where he hung out with several of the artists. Taj loved how they played and sang, but he especially loved “getting to know their lives and how they made things work.” Not much time passed before a performing tour was launched, with Taj as the headliner. Meanwhile, Tim, sensing an incredibly rich opportunity, was hauling along with the tour, high-end recording gear. He set it up in hotel rooms hoping to capture an impromptu session. One night in Houston, magic happened. A few senior bluesmen, Tim, Taj and the daughter of Katie Mae, immortalized in the Lightin’ Hopkins classic “Katie Mae Blues” hung out together in a hotel room in Houston. Taj picked up an acoustic guitar and started in on classic tunes — “Stack-O-Lee,” “Walking Blues,” and more. The tape was rolling. During the time of the tour, Taj was also visiting during hang-out, barbecue and recording sessions at Music Maker’s new North Carolina headquarters in Hillsborough. When the music got going, Taj would play some piano, bass, harp, banjo, mandolin and whatever else was needed. Now is the time for these immortalized sessions to be heard. So here they are on a solid piece of wax. And what wax it is — a full-on 200-gram vinyl Analogue Productions masterpiece plated and pressed at Quality Record Pressings, maker of the world’s best-sounding LPs. Packaged in a Stoughton Printing tip-on gatefold jacket. You won’t find a more intimate portrayal of Taj as a freewheeling, fun-loving, always-in-the-pocket sideman. Posted on Thursday, December 1st, 2016 under New Releases. You can follow any responses to this entry through the RSS 2.0 feed. You can leave a response, or trackback from your own site.